Willamette Falls has an incredible legacy as a thriving economic hub in the region. For centuries, it has been a vital cultural, fishing and gathering place for Native American Tribes and throughout the late 1800s and 1900s it was the heart of flourishing industries in Oregon City—providing energy that powered lumber, flour, woolen and paper mills. 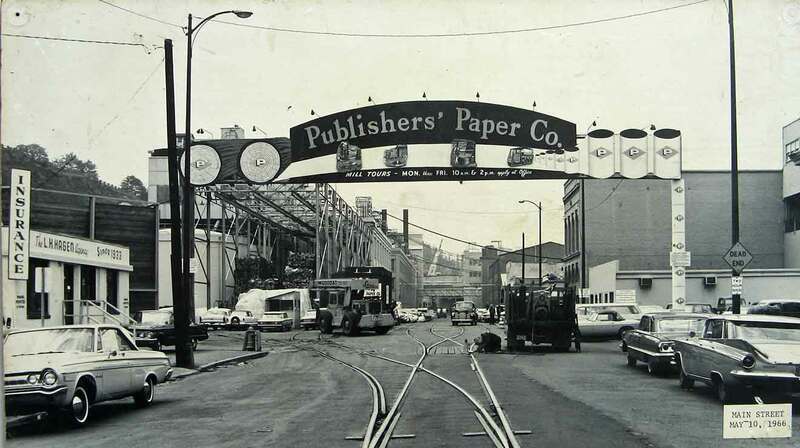 Today, Portland General Electric continues to operate at Willamette Falls and the West Linn Paper Company is in business on the opposite side of the river. In honor of the project’s core value of Economic Redevelopment, we’ve reflected on the Willamette Falls’ past, present and future as an economic and industry engine for Oregon City and the state. The Clackamas Chinook peoples inhabited villages on both sides of the banks of the Willamette, as well as above the falls at Canemah. The village on the other side of the river was named Walamt, the origin of the name Willamette. Since time immemorial, the falls have been fished by many tribes from all over the Pacific Northwest. The falls remains a significant fishing location, but is not generally a commercial fishing location. Native American tribes continue to harvest lamprey and salmon at Willamette Falls. 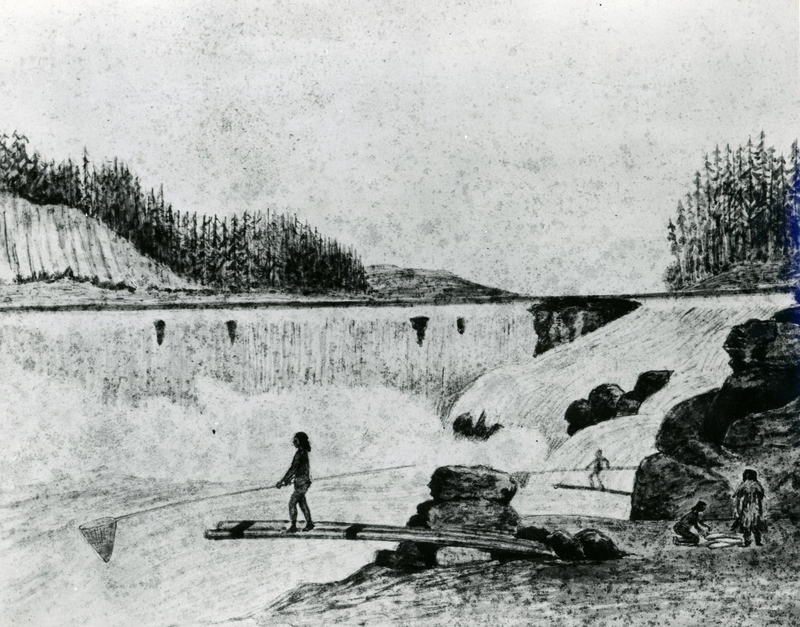 During the nineteenth century, white explorers and traders documented the existence of Willamette Falls. Native Americans helped traders and others portage the falls, often hosting the travelers, feeding them and joining them as guides, scouts and oarsmen. With the arrival of Europeans came new economic uses of the falls. John McLoughlin, of the Hudson’s Bay Company, established the first non-Native settlement at Willamette Falls in 1829 and built a sawmill, kicking off the industrial revolution at the site. In 1844, Oregon City became the first U.S. city west of the Rocky Mountains to be incorporated and industry continued to rapidly develop along the falls. Over a century of lumber, flour, woolen and paper mill industry in Oregon City followed at the Willamette Falls Legacy Project site, powered by the falls’ energy, accessibility and central location. In 2011, the last mill at the site closed—creating a unique opportunity to re-imagine economic redevelopment at the Willamette Falls Legacy Project site and in the region. Downtown Oregon City began at the south end of Main Street nearest Willamette Falls.. Over time, the city grew, expanding northward and eastward. The first few blocks of Main Street became part of the growing paper mill complex during the 20th century. This section of Main Street was eventually vacated, restricting the falls site to industry and mill activity, and confining retail and civic commerce to the stretch of Main street north of the mill. Like many downtowns in the United States, Oregon City’s Main Street suffered disinvestment during the 1970s and 80s. Today, commerce has returned, with many new retailers, restaurateurs, and small creative firms moving into downtown.One of the visions for the project site is the physical continuation of Main Street through the site, creating mixed-use spaces for retail, civic and cultural attractions. The continued revitalization of Main Street is one of Downtown Oregon City Association's key priorities. Executive Director, Jonathan Stone, said in an interview with WFLP, "We see the riverwalk as an intrinsic part of the downtown district . . . a continuation of downtown." Photo courtesy City of Oregon City. 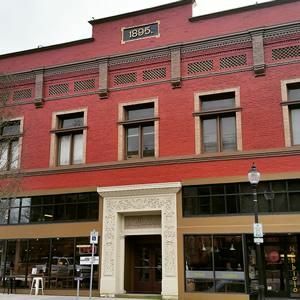 Oregon City has been named one of the fastest-growing cities in Oregon and remains strongly rooted in its sense of community and historical significance. Home to thriving shopping areas, recreational opportunities, businesses and a wide variety of historical and cultural attractions, the city continues to evolve. 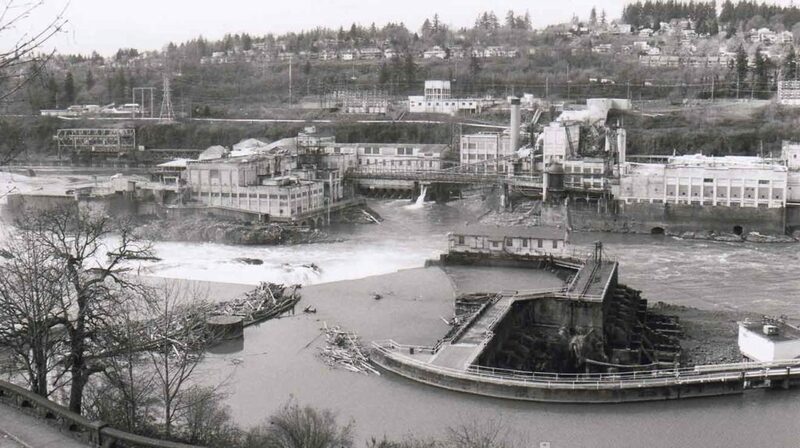 For more information on the fascinating economic history of Willamette Falls, Oregon City and the region, check out The Oregon Encyclopedia, The Oregon City Chamber of Commerce and the Willamette Falls Heritage Foundation among others.